Vintage apartment hunters have an abundance of choice in a city with as many pre-war and mid-century buildings as Chicago. The new constructions popping up closer to the downtown area may offer something for those who want apartments that are shiny and new, but tenants seeking a slice of old school Chicago life can still strike gold when it comes to finding vintage apartments that are worthy of calling home. Here are a few strong examples of what vintage apartment living in the city can look like today. Apartments in this classic Lincoln Park building really deliver on a couple of levels. 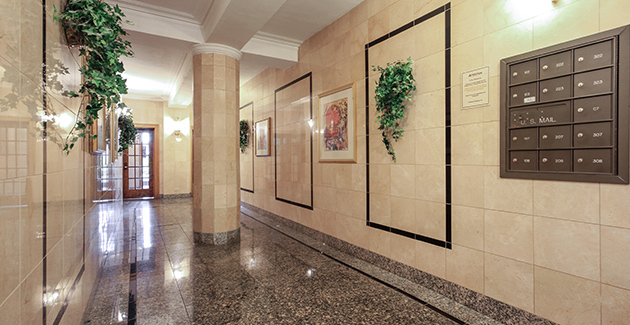 Apartment renters can appreciate the grand scale and old world charm inherited from the building’s previous life as an opulent hotel, which are on full display in common areas such as the ornate lobby and the building’s exterior. But in going the rental apartment route, the building scaled up to the demands of today’s modern apartment renters with gusto: a fitness center, on-site laundry and dry cleaners, retail on the ground floor, and extra storage available. 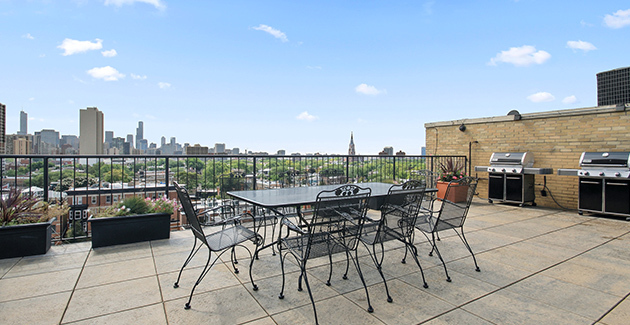 The timeless feature of the building has to be the rooftop deck, offering unrivaled views of Lincoln Park, Lake Michigan and the cityscape beyond this vintage spot. On top of the affordability of these studio and 1 bedroom apartments for rent in Lakeview, the location offers renters unrivaled convenience. This spot is near grocery stores, movie theaters, parks and tons of nightlife options for the renter who would prefer to spend more time getting acquainted with the neighborhood surroundings rather than the inside of their apartment. But for fans of details like woodwork and handsome parquet floors, there’s a good deal to admire inside these vintage apartments as well. Lincoln Park could easily be called the most versatile neighborhood in Chicago. The parks, the beaches, a zoo that’s free to the public, tons of restaurants and clubby nightlife destinations...there’s something for everyone in this exciting neighborhood. 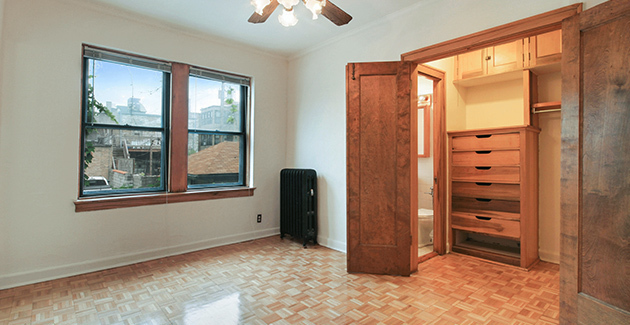 And for vintage apartment hunters, there’s ample choice as well. Take this classic brick courtyard building at 2335-45 N Geneva: details like the marble-clad lobby and hardwood floors in every unit lend this vintage apartment building undeniable style while the generous closet space and cabinetry make it easy to live a clutter-free life. The charm of these vintage apartments is tough to miss but don’t forget that these are also some of the most budget-friendly Lincoln Park apartments in an excellent location.